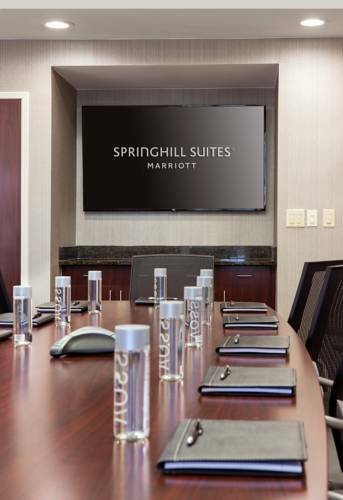 Treat yourself to a seamless stay at SpringHill Suites Bakersfield. Located in the heart of downtown Bakersfield, we offer easy access to memorable attractions such as Auto Club Famoso Raceway, Buck Owens' Crystal Palace and Rabobank Arena. After a day of venturing through downtown or exploring Kern River, relax in our stylishly appointed suites. We offer separate areas for living and dreaming as well as complimentary high-speed Wi-Fi, ergonomic workstations and flat-panel TVs with premium cable channels. Wake up from a refreshing sleep in crisp linens and satisfy your morning appetite with our free hot breakfast buffet. Traveling for work? Our on-site business center can assist you with catching up on emails and sending important documents to colleagues while you're away from the office. Once your business is squared away, head to our fitness center for an invigorating workout, then cool off with a calming dip in our indoor pool. Experience an enriching stay at SpringHill Suites Bakersfield.